Calne Quarry is a sand quarrying operation producing both dry screened and washed sands for the construction industry. Extracted material is transferred to the processing plant via field and fixed conveyors. 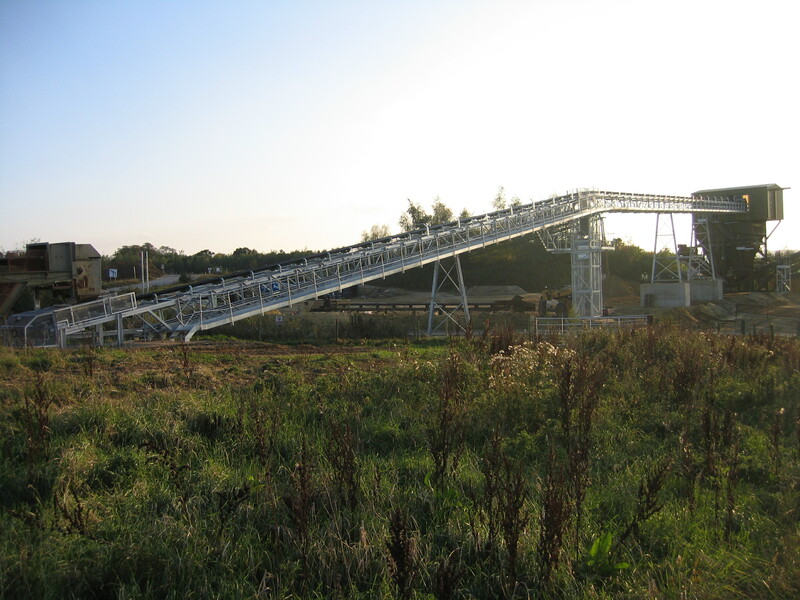 Following completion of the existing extraction area Centristic ltd won the contract to realign the conveyor system and modify the main dry sand holding hopper. A new inclined fixed conveyor was installed on new civils, crossing a public footpath and over a busy haul/access road. 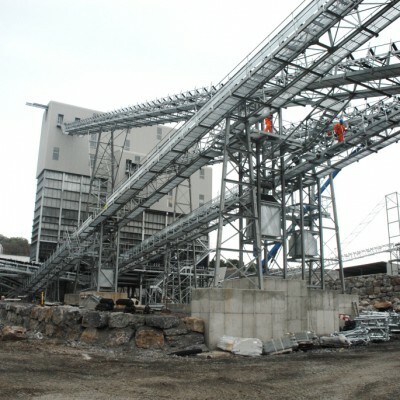 The upper bin structure and access required modifying to receive the new conveyor and in addition, the current dry screen stockpile conveyor was removed and the lorry load out conveyor rotated through 180 degree’s to become the stockpile conveyor.